We don't normally do this sort of thing in Forgotten Hits, but when you see the names attached to this project ... and the good cause it represents ... you just may be inspired to get involved. These folks risked their lives to protect ours ... and far too often never got the thanks and the respect that they deserved. Perhaps now we can do a little something to give something back. Veterans Matter is an innovative grass-roots effort started in Toledo, Ohio by a formerly homeless man in an effort to house 35 local veterans. From that homespun campaign and with the help of the entertainment industry, 20+ musicians, bands, actors, actresses, managers, publicists, writers, singers, individual and corporate donors, Veterans Matter has raised $800,000 and housed over 1000 veterans in eleven states. “There are over 47,000 veterans still homeless on our nation’s streets. Streets where they are being beaten, robbed, even killed. If this kind of thing happened while they were serving we would be outraged. The celebrity advocates who have come out to help this cause are really providing a voice for the voiceless,” said Ken Leslie, the founder and Advocate-in-Chief of Veterans Matter. Coordinated with the VA’s homeless outreach coordinators, Veterans Matter essentially passes donations, less very minimal program costs, directly to landlords to provide deposits which open the door to immediate long-term housing and case management. This partnership gives Veterans Matter an evidence-based 100% success rate in housing veterans in a program that has a 91% success rate in keeping them housed. Urged by music industry friends who wanted to help house homeless veterans in their home states, Leslie grew the Veterans Matter program and created an on-line cloud-based system to allow Veterans Administration coordinators to quickly access and secure deposits literally in minutes. 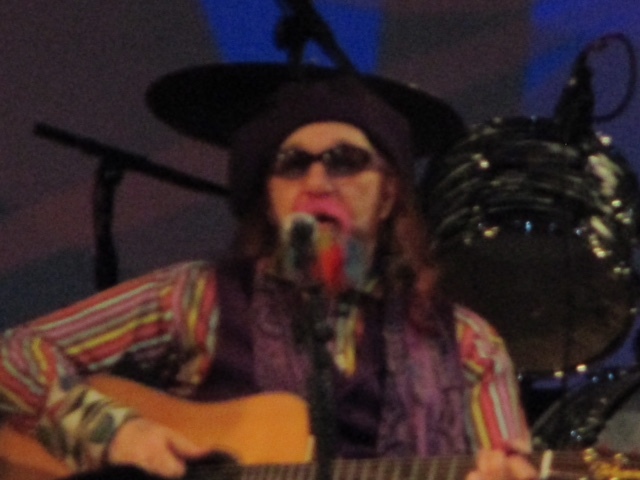 · Operation Texas was started by Dusty Hill of ZZ Top when he convened a group of businessmen in Houston. The return for his efforts resulted in that group’s raising over $250,000 and housing nearly 500 Texas veterans. · The same day John Mellencamp became chair of Operation Indiana, Veterans Matter received a $37,000 donation that resulted in 96 Indiana veterans being housed to date. · Operation Michigan was started by writer Mitch Albom who has donated $35,000 to house Michigan veterans. With additional funding raised or donated by Katy Perry, Kid Rock, and a compassionate corporation, over 150 homeless Michigan veterans have been housed to date. · Katy’s support also garnered the creation of Operation Mid-Atlantic which has to date raised $25,000 and housed a dozen veterans. · Many of these and other celebrity advocates have recorded national radio/video PSA's and provided social media support. The impact of the efforts of these celebrities transcends the additional revenue raised. Using the online system to refer veterans, the VA can yield immediate approval with a confirming email sent to the landlord. The support of these notables has been critical in getting many landlords to allow the veterans and their families to cross the threshold into their own homes with only the confirmation email. Veterans Matter can help accomplish in minutes what can take existing programs two weeks to two months to accomplish. Services and resources are provided by the VA help many of these now-housed vets and their families to recapture their lives and return to domestic autonomy. The partnership with the VA gives the program a documented 100% success rate in housing veterans through a long term VA program that has a 91% success rate in keeping them housed. Depending on revenue, program costs are running 14% - 17%. Veterans Matter is a program of 1Matters.org, a Toledo based non-profit which creates and funds new programs to house the unhoused. With the government set to release up to 10,000 more housing vouchers this year, the group is currently reaching out to agents, managers, publicists and entertainment industry personalities to ramp up the recruiting of additional celebrity advocates. The hope is to raise at least $1.5 million to house another 2,000 veterans and veteran families this year. “Fans may forget that no matter the level of fame and achievement, these high profile people are regular Americans like you and me who simply believe that veterans matter and that we must take care of our own,” Leslie said. In today's special SWEET 16 Feature we'll count down the 16 Biggest Motown Hits, 1960 - 1985. Songs are ranked by their overall chart performance at the time of their original release ... but ALL are Motown Standards. Not quite the list you were expecting? I have to admit I was a little surprised by the final results as well. When I think of Motown, I think of the '60's ... HUGE groups like The Supremes, The Temptations (who didn't even make this list), The Four Tops (ditto), Stevie Wonder (only his 1984 hit "I Just Called To Say I Love You" qualified) ... as well as timeless tracks like "Dancin' In The Street", "Do You Love Me", "I Can't Help Myself", "Baby Love", "My Girl", "Just My Imagination", "My Guy", "Please Mr. Postman" and such. But when you do a point-for-point evaluation, you find that everything is not as it seemed. Only three songs in the countdown pre-date 1970 ... two of those are by The Supremes and the other one is Marvin Gaye's HUGE hit "I Heard It Through The Grapevine". In this scenario "I Heard It Through The Grapevine" book-ends the countdown ... and The Supremes account for EIGHT of The Top 16 Motown Hits (that's HALF the countdown!!!) 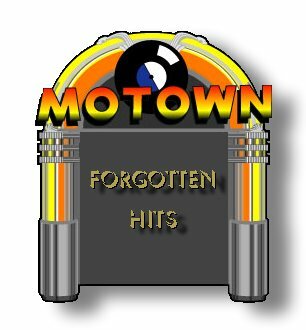 And there are STILL so many GREAT Motown hits that fail to make the list. Thanks to the way radio is programmed today, we all come away with a very distorted perspective of rock and roll history. Based on airplay alone over the past twenty years, Marvin Gaye's version of "Grapevine" would probably be followed by "My Girl" by The Temptations (not on EITHER list! ), "Baby Love", "My Guy", "Dancin' In The Street" (also not on either list) and "For Once In My Life" ... but Our Sweet 16 Countdown shows the way things REALLY went down at the time! HARD TO FIND JUKEBOX CLASSICS, 1960 - 64 (30 AMAZING STEREO HITS) and THREE DECADES OF CLASSIC NOVELTY HITS (featuring 28 great songs hard to find on CD). And Colin Donahue of Waukegan, Illinois (a brand new Forgotten Hits Reader who first heard about our website at the Tommy Roe concert at The Arcada Theatre a few months back) and Stuart Weiss of Staten Island, New York, each of whom won copies of the THREE DECADES OF CLASSIC NOVELTY HITS CDs. We also had a winner of BOTH CD's ... this honor goes to Andy Boyer of Longmeadow, Massachusetts, who went to the Eric Records website and purchased three CD's, which qualified him to win copies of BOTH of our special CD give-aways. 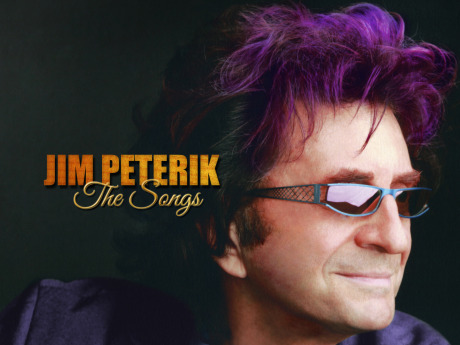 Jim Peterik's new CD, "The Songs", features brand new arrangements and reimaginations of some of his best known songs. Winning copies of this hot new release are Wayne Calhoun of Bethel, Ohio, and Clark Besch of Lincoln, Nebraska. All these CD's should go out in the mail by this weekend. Congratulations to ALL of our winners ... and thanks to everybody who played along. The results are in ... after many of our readers visited the Eric Records website and let us know which three CD's they'd be most likely to order, we tabulated all of the votes and came up with this list of the twenty most popular titles. (When all was said and done, votes were cast for 52 different CD titles) Again, please use the link above to visit the site and order copies for your own collection! Eric's new "Hard To Find Jukebox Classics, 1960 - 1964" is a listening delight ... crystal clear sound on every track ... and the variety of song selection allows the listener to enjoy several genres of music that made the music of the '60's the exciting experience it was. You've got "The Girl Group Sound" of The Ronettes, The Chiffons and The Dixie Cups ... British Invasion classics by The Kinks, The Zombies, Billy J. Kramer and the Dakotas and Marianne Faitufull ... Instrumental Hits by The Viscounts and The Ramrods ... Folk Rock by The Rooftop Singers and Peter, Paul and Mary ... Good Old-Fashioned American Rock And Roll by The Kingsmen, The Rivieras, Roy Orbison, Sam Cooke, Rick Nelson, Chubby Checker and Ray Charles as well as undefinable hits like "The Girl From Ipanema" by Getz and Gilberto, "Ringo" by Lorne Greene, "Danke Schoen" by Wayne Newton and "Yeh Yeh" by Georgie Fame and the Blue Flames. The promo information supplied regarding the new Jim Peterik CD is a little bit misleading ... it stresses the bluegrass / early Americana feel of these reimagined tracks but the truth is that this really only comes into play sporadically throughout he new CD. The vast majority of these tracks are simply "unplugged" versions, many with new stripped down (and slowed down) arrangements. As might be expected, some work better than others. Standout tracks for me include "Caught Up In You", with its staccato string arrangement (some say similar to the styling used on The Beatles' version of "Eleanor Rigby" ... I point this out because The Ides Of March ALSO cut a version of "Eleanor Rigby" on their "Vehicle" LP that took on more of a Vanilla Fudge type feel); "High On You", which takes on a bit of a Jamaican feel (which I really like ...it's hands down my album favorite) and the two brand new tracks, "Miracle At Ground Zero" and "The Same Muse", both of which are solid tracks and hold their own in the only arrangement we know them for. 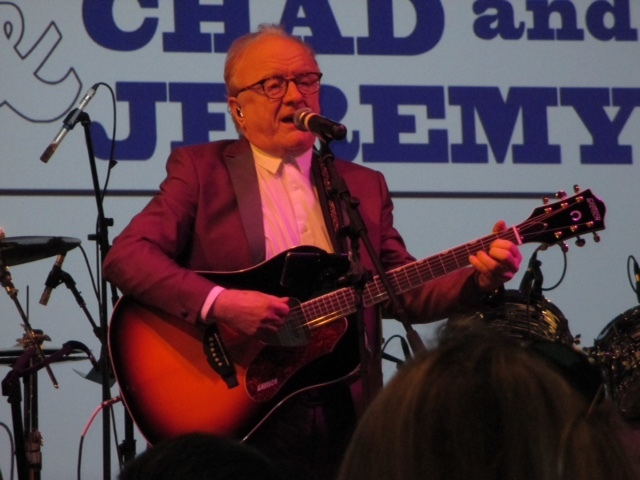 I must also say that Jim is in excellent voice throughout the CD and the musicianship of these "Nashville Cats" assembled to back him up are outstanding as well. Some of these new send-ups are a bit too familiar ... "Is This Love" takes on sort of an Extreme / "More Than Words" feel, "Hold On Loosely" sounds like it came right off of an early '70's James Taylor album (which I'm sure was exactly the intent ... I like the way this arrangement gives you some sense of what things must have sounded like when Peterik and .38 Special contributors Jeff Carlisi and Don Barnes sat around Jim's kitchen table throwing around ideas the night they wrote it), while "That's Why God Made The Radio" sounds more like the theme to "Midnight Cowboy" than ever with its stripped down, piano-driven arrangement. It is also missing the harmonies that made the song an immediate Beach Boys classic. (It just doesn't sound right with the high end missing completely ... this song NEEDS voices to convey its passion ... and deserves better than it gets here.) This is probably the track I was most looking forward to hearing ... a chance to get Jim's take on the song he helped compose with Brian Wilson ... so as such, it's a bit of a disappointment. Speaking of piano-driven, the new arrangement of "LA Goodbye" also doesn't work for me ... the beauty of the original guitar work is what helped to make the track so powerful in the first place ... I don't know that this core sound needed to be replaced in order to be reimagined ... augmenting that driving force with some of these new instruments being brought into play on this cd (especially the strings) would have made this a far more effective track in my opinion. Once again, so would some strategically placed harmonies. (If it's one thing this CD is lacking, its the use of background and harmony voices ... Jim's voice drives every track, as it should ... but so much of his unique sound over the years has been built around the blend of voices that they are noticeably missed and sorely missed in many of these sparse arrangements. There's more to "reimagining" than just slowing the tracks down and stripping them down to the basics ... a perfect case in point would be Eric Clapton's reimagined version of "Layla" from his MTV Unplugged performance. BOTH versions are absolutely standout arrangements ... so much so that it's hard to pick a favorite. The same can be said for The Eagles' live "Hell Freezes Over" acoustic performance of "Hotel California" ... you're as likely to hear EITHER version on the radio today ... and you don't really care which one they play because BOTH versions are outstanding. I wish a little more thought and care had been given to a couple of tracks on this CD as I think the overall end result would have been considerably stronger ... and more radio-friendly. Which brings us, of course, to the two most familiar tracks of all, "Vehicle" and "Eye of the Tiger" ... and therein lies a big part of the problem ... these tracks have become so much a part of our collective DNA in their classic rock arrangements, that it's almost impossible to accept them in any other fashion. Jim's "fiddlin' around" with "Eye Of The Tiger" is the stronger of the two and works a lot better in this new arrangement, especially with the reintroduction of the familiar riff brought in at the end of the song by the strings ... a nice effect and a welcome surprise, as is the banjo used throughout the track. This one is, at the very least, interesting to listen to as it moves forward to achieve just short of full hoe-down status. "Vehicle", on the other hand, is not. Slowed down and stripped down to basically a low-key electric piano, I kept waiting for the song to build into something ... and it never does. I think this arrangement would have been a GREAT way to start the song ... but then each subsequent verse should have added more instrumentation and voices to build into a more powerful (albeit quieter) version of the song we all know and love so well. (I've heard any number of arrangements of "Vehicle" over the years, many by Jim himself as he adapts it to whatever venue or music genre he may be performing it in at that given moment ... some of his "blues" performances of this song have been among his best ... but I feel that as powerful a track as it is, this song deserves more than this new arrangement allows for. As Jim himself has said thousands of times before, this truly IS the vehicle that got him here today .. it deserves a better fate.) Being performed at dirge level, as it is here, almost makes that "friendly stranger in the black sedan" seem a little bit creepier. Just heard the news that Billy Paul passed away on Sunday (4/24) at the age of 81. I was only six going-on seven years-old when I heard “Me And Mrs. Jones” for the first time. I didn’t understand exactly what the lyrics meant, but it helped turn this little white kid from suburban Minnesota into a huge soul fan. One song that I don’t think was mentioned yet in the “they don’t say the title in the lyrics” category is “Suite: Judy Blue Eyes” by Crosby, Stills & Nash. I can also shed some light on “Strawberry Letter 23.” According to the song’s writer, Shuggie Otis (son of the legendary Johnny Otis), the song is about a series of letters between lovers. The singer is so delighted with “Strawberry Letter 22” that he writes the song in response and this becomes “Strawberry Letter 23”. At least that’s the story I’ve always heard. PHILADELPHIA – Legendary Philadelphia International Records co-founders and R&B pioneers Kenneth Gamble & Leon Huff released the following joint statement today as they mourned the passing of Mr. Billy Paul, legendary recording artist best known for his smash hit, “Me and Mrs. Jones. “We send our very sincere and personal condolences to his wife Blanche and the rest of his family. Billy Paul will truly be missed. I just wanted to point out that Otis Clay wrote Tryin' to Live My Life Without You, which some years later turned in to a big hit for Bob Seger. Don't know why his version wasn't a hit, but glad bob rescued it from obscurity. Several years ago I was having a yard sale (in the suburban L.A. area) and I had some music related items. One guy started talking about music and said he had been in a vocal group back east. I asked him the name and he said the Tempos. I said, "The Tempos that did 'See You In September'?" and he said "Yes" and was surprised that I knew that. He said he had left shortly before the record and they didn't take him back when he tried to rejoin. Thanks for the sad but informative posting from Joel Whitburn. I know what he's talking about! Last year, we lost (among others - you probably know more) Curtis Lee, Lesley Gore, Percy Sledge, Ben E. King, B.B. King, Lynn Anderson, Cilla Black, Frankie Ford, Billy Joe Royal, Cory Wells, Allen Toussaint, P.F. Sloan, and Natalie Cole, as well as less well known performers such as Andy Fraser (bassist with Free), Brian Carman (guitarist with the Chantays), Eddie Hardin (Spencer Davis Group), Martin Beard (Sopwith Camel) and Preston Ritter (drummer for the Electric Prunes). Joel's lengthy 2016 list just adds to the losses. I have seen comments on blogs that, for some reason, express surprise at all these deaths. I think there's nothing to be surprised at -- at all. The 1960s saw a ballooning of the number of pop music acts, many of which had several members -- and they're all aging out. Sir Paul is 73. Mick Jagger is 72. David Crosby is 74. 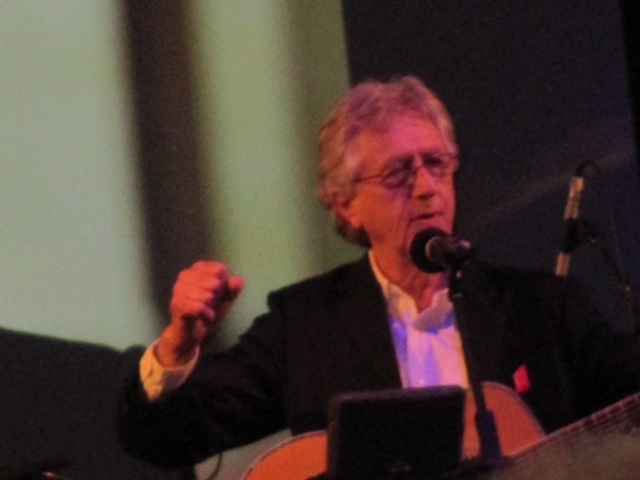 Graham Nash is 74. Bill Wyman, for heaven's sake, is pushing 80, and has been diagnosed with prostate cancer. Petula Clark is 83. And let's face it, some of these guys did not lead an exactly healthful lifestyle. Dozens upon dozens of pop groups, now in their senior years. When they die, I am very sorry to see them go. But surprised? Not so much. 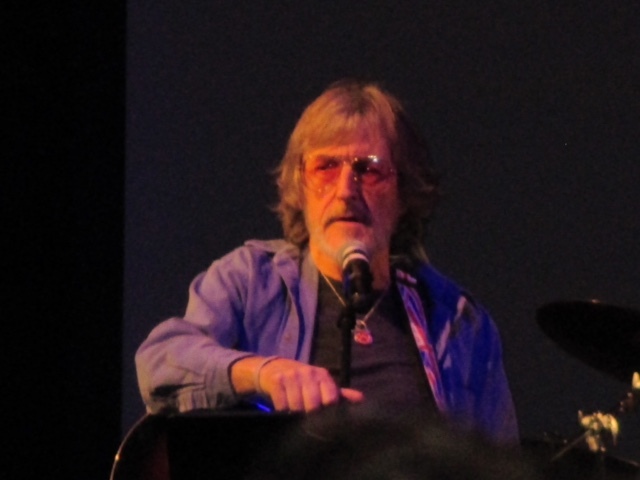 Crushed to hear the sad news about Jimy Sohns, a bona fide rock animal. Jimy will fight back ... he always does. He will remain as he says ... that guy your old man just doesn't want his daughter to date. The cat will bringing "Gloria" and "Shake" when he's 80. 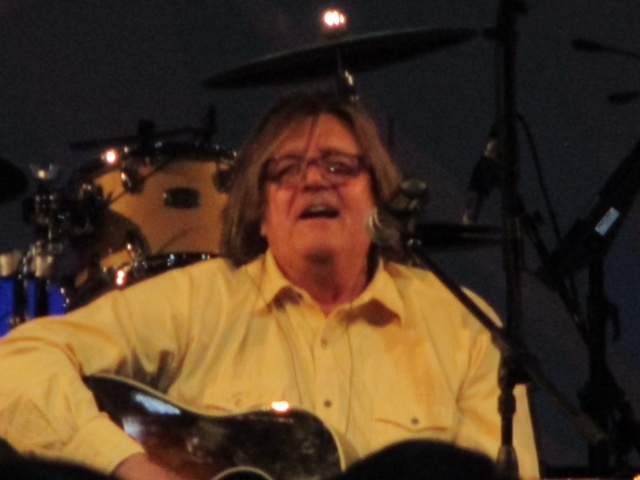 THANK YOU for the info on Jimy Sohns' stroke. I sent him an email to wish him a speedy recovery. He is the true "Bad Boy of Rock and Roll" and I would pay any price to see him perform. All his tunes are great, but when he does "Shake" and "Little Queenie," he rocks the house down. Please keep us informed on how he is doing. Me-TV just ran an interesting piece on collectible music-related toys and dolls from the '60's and '70's ... and I saw something I'd NEVER seen before ... but it ties in PERFECTLY with our recent Mamas and Papas series so I wanted to share this with you. Does ANYBODY remember "ShowBiz Babies"??? After much delay and many email inquiries, I finally received the DVD that I ordered. Actually I received two, but that’s a whole other story. I had ordered the $100.00 package immediately after the televised show on WTTW. My question is this ... I was under the impression that the DVD that I ordered was going to be the entire performance and not the edited version that was aired during their “begfest”. 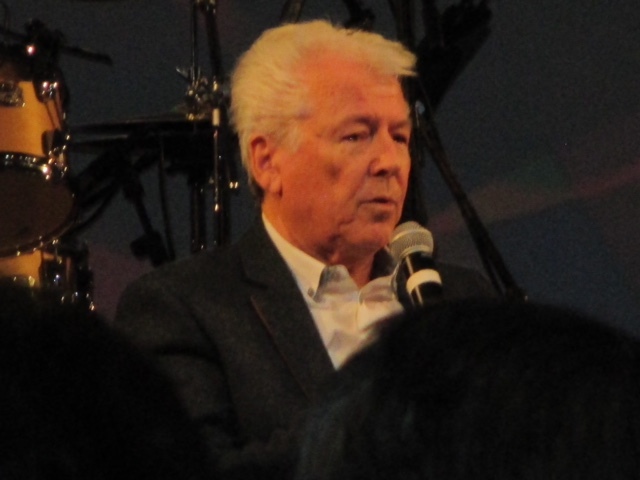 For example, reviews on your site indicated that The Cryan' Shames performed five songs at the performance, but only three appeared on the edited televised show. When I opened my package, the credits on the back of the DVD booklet indicate only three songs by The Cryan' Shames and not five. In fact, the credits only list the songs performed on the edited version by all of the groups. In addition, there is no indication of the group “Louie Louie” performance which appeared at the end of the edited televised show. In your column you indicated that you had opened and watched your DVD. What exactly is on that DVD? Is there more than one version of the DVD? I do not want to play mine until I am sure it is the correct one that I thought I had ordered in case I have to return it. I really enjoyed the edited version that I saw on WTTW and thought the performance was extremely well done. But, from the start, the entire promotion, as handled by WTTW, was rampant with mis-information and I thought that the handling of the orders was very poorly done. I've yet to see any of the live shows (although most of these artists DID perform at The Marty Grebb Benefit Concert earlier last year.) We had planned to go to the Skokie show on Sunday (May 1st) because we had never been to this venue before but now that this one has sold out, too, I guess we'll have to miss it. Now how fucked up is this? Alan Freed's ashes, previously on display at The Rock And Roll Hall Of Fame, have been "evicted" ... and now reside in their new final resting place. Have you seen the Tower Records Documentary that's been running on Showtime? But once again showing how the music industry did everything possible to shoot itself in the foot and ultimately destroy life as we knew it. Check out the incredible schedule put together for Ravinia this summer! In the Honda jingle the words are "200 miles per gallon and a rugged trail machine" … not “sale machine” ... they were referring to the Trail 50 / 55 / 90 group of bikes. Love your site ... a big thanks for doing it. I am 67 and used to sing this since that was all I could do, not having the money to buy an actual bike, which I finally did when I turned 16. Just a note to say how much I enjoy the reviews submitted by "Field Reporter" Shelly Sweet-Tufano and sixties / doowop lover Tom Apathy. Having attended my share of concerts, I find Shelly and Tom's pieces to be spot-on and highly entertaining ... keep 'em coming! I found out about your blog during the Tommy Roe concert at the Arcada Theater in St. Charles a couple months ago and I've been checking it out ever since. You do a great job!